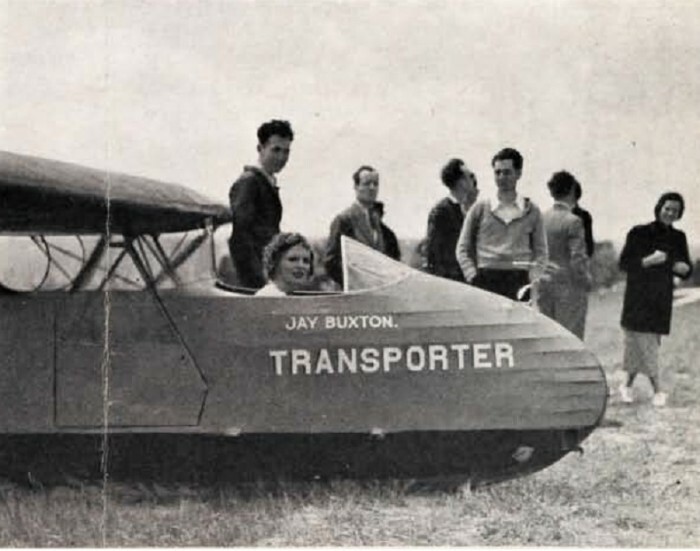 Jay Buxton was known as California's "Father of Gliding." He was a designer and builder of gliders - the most famous being the 2-place Transporter. He flew at many sites - Palos Verdes, Torrey Pines, Arvin, Muroc Dry Lake in California as well as Nationals at Elmira and the Southwest Soaring meet at Wichita Falls. When 2-place gliders were comparatively rare, he brought his Transporter to many sites to give rides. Buxton was an SSA Director in 1937 and served as SSA Vice President from 1941 to 1943. He was also very active in the Southern California Soaring Association prior to WW II. He was Contest Manager for both the 1940 Wichita Falls meet and the Elmira National Soaring Contest that year. Johnny Robinson was flying in the Wichita Falls meet but not planning to go on to Elmira for the Nationals. Buxton persuaded him to go to Elmira where he could win the Nationals. 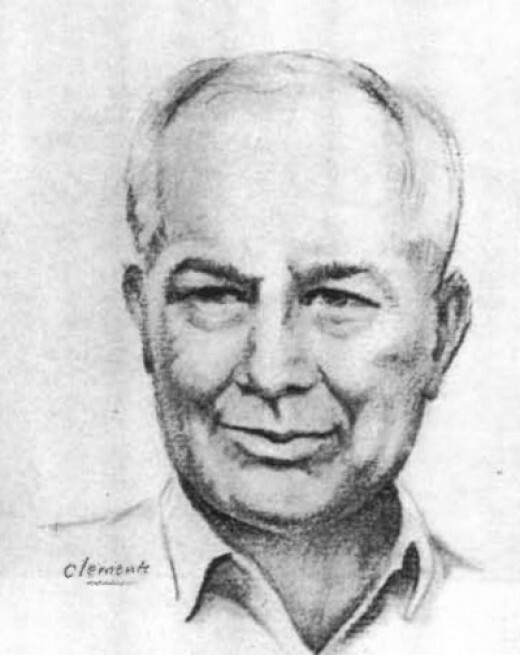 Robinson, convinced by Buxton, went to Elmira and won that year and again in 1941 and 1946 flying the Zanonia in all three competitions - the first person to win three consecutive nationals. He might have won more nationals but there were none during WW II. 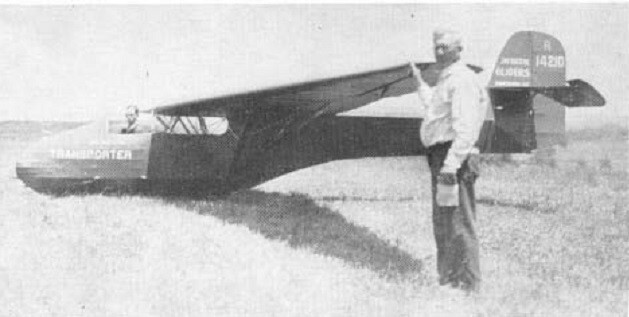 Jay Buxton had a shop in Lennox, California (between Hawthorne and Inglewood) where he built and repaired gliders. It was there that he designed and constructed the Transporter. The specifications are listed as span 52.3 feet, length 26.6 feet, wing area 240 sq ft, aspect ratio 1:11.4, empty weight 435 lbs, gross weight 725 lbs, glide ratio (L/D) 20. Buxton's daughter, Lucretia was also a successful glider pilot in her own right, flying contest and record flights.